Coming from our favourite country in the world (Iceland), Lockerbie is an independent act that mixes the usual pop/rock and powerful post-rock together in an interesting way. 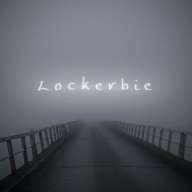 Lockerbie was formed in January 2008 and gained a small fame performing with For a Minor Reflection and Soundspell until they took a one year pause in the spring of 2008. Back together, the members have recently started playing together again and won the Studio Sýrland/Rás 2 summer competition. Lockerbie is known for big, melodic and epic songs with meaningless and poetic but comfortable lyrics in icelandic that matches perfectly with the beautiful melodic piano. Football, beer and good music (yes, we really should live in England). Strange instruments. For example you can hear in a drum called “Spring Drum” in the beginning of Snjóljón. Doddi, the singer/guitarist also collect guitar effects, sometimes I don’t think he can play his guitar before he has plugged at least 8-10 effects (like you might hear in the songs). Ólgusjór – a old and epic Icelandic word that means raging sea. We use it a lot in our new song. Difficult to name just one, but we all love Pulp Fiction. Sjálfstætt fólk(Independent People) by Halldór Laxness. Cemetry Gates by The Smiths is a great song to start the day with. Viðrar vel til Loftárása- Sigur Rós, one of our all time favourite song. Hope There’s Someone by Anthony & The Johnsons would be great. His voice is just outstanding. Alex Metric’s remix of Sabotage(Beastie boys) is great. Hvert sem ég fer- Hjálmar. Icelandic reagge band- we are a big fans. Last.fm, very useful for people who like to discover new music. The internet gives musicians oppurtunites to share their music with the world without being famous and big music companies so I think it’s very positive. Went to an little island in the Caribbean just outside Mexico called Isla Holbox. Almost unspoilt and there were only golf cars. Simply a paradise on earth. Would really like to wake up in South America or Asia. It’s very cold here in Iceland right now so I would love a holiday in the sunshine.